The 2017 GHSA Swimming & Diving State Championship returns to Georgia Tech’s Recreation Center Aquatic Center with a brand new format. After four seasons with the field divided into Class AAAAAA and Class AAAAA-A, the newly-formed Class AAAAAAA will compete with Class AAAAAA, while the lower five classifications return with the same arrangement. Class AAAAAA-AAAAAAA will feature the state’s most successful current swimming dynasty as the Lambert girls look for their fifth straight swimming title. The Longhorns used their depth to drive them to the top of the podium last year as they prevailed with 377 total points despite no first-place finishes. Second-place Lassiter tallied a 321.5 finish and third-place Brookwood finished with 304.5 points. New state records were broken across the classifications as the Brookwood foursome of Maddy Cohen, Erin Scott, Devan Sweeney and current junior Lelia Taylor set the state record in the 200-medley relay with a time of 1:43.70. Walton’s Evan Arsenault, Gabbie Gauntt, Melissa Cox and Emma Cole set a new state record for the 200-freestlye relay with a time of (1:34.47). Brookwood’s Alex Huenniger, Conor Gamble, Jacob Rees and Alex Taylor set a new state record in the 400-freestyle relay (3:03.38) last year. The Broncos return to state with the fasted qualifying time (3:08.89), while Mill Creek posted a close second-place finish with a 3:09.58 finish. The Marist girls’ 225 points edged second-place Dunwoody’s 215 points and third-place Sequoyah’s 192 last year. Marist’s Elizabeth Bailey placed first in the 100-butterfly (55.23) and will compete for the gold with Starr’s Mill’s Donna Blaum, who clocked a top qualifying time of 56.83. Oconee County’s Danielle Della Torre enters the state meet with the top qualifying time in the 200 individual medley (2:05.08) and the 100 meter free style (52.34). Pace Academy added top finishes in the 200 and the 500 girl’s freestyle as Grace Ferry hit the wall first with times of 1:49.42 and 4:53.10, respectively. Ferry has since moved on to Penn University to swim and after an incredible four-year run with the Knights leaves them with a big vacancy to fill. The Westminster boys (362.5) easily held off second place St. Pius (256.5) and third place Chamblee (256) to clinch a second straight GHSA Class A-AAAAA swimming state title last year. Westminster’s Owen Downs, Princeton’s Derek Cox, Columbia’s Erek Cox and Joseph Rodriguez won the 200-medley relay, while breaking the one-day old state record from preliminaries with a new Georgia-best 1:32.30. 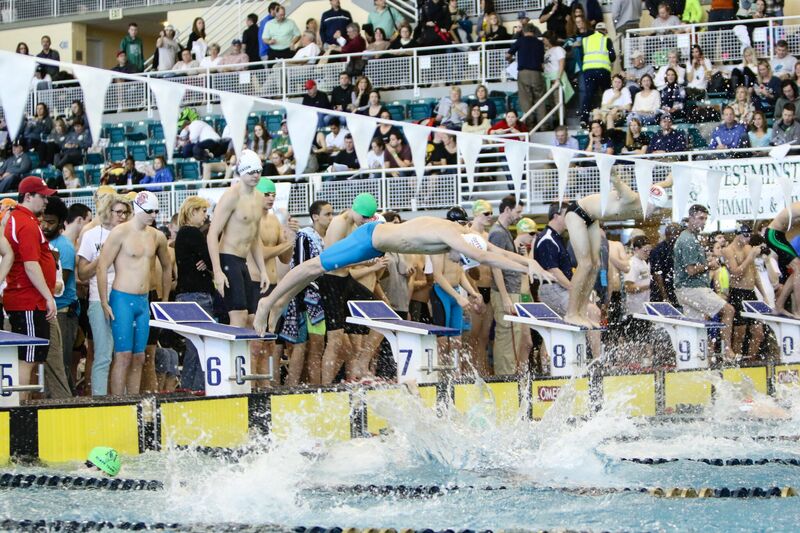 The Wildcats were outswam by St. Pius, Calhoun and Chamblee in the 200-medley relay qualifying and it will be Downs leading the Wildcats against a deep cast of state qualifiers sporting St. Pius and Chamblee colors. Savannah County Day’s Brennan Pastorek enters the state meet with the top boys qualifying times in the 200 individual medley, the 100 meter breaststroke, the 100 meter freestyle and the 50 meter freestyle. He topped the field by more than four seconds with a 1:52.34 finish in the 200 IM and was the only qualifier to clock a time faster than 21 seconds (20.93) in any of the classifications. His 100 meter freestyle was also the fastest qualifying time in the state (45.97), while his 56.79 time in the 100 meter breast stroke was topped by Peachtree Ridge’s Jonathan Yang (55.75) and Collins Hill’s Andrew Winton (56.09) in what will be a must-see showdown in Class AAAAAA-AAAAAAA.